One light shot. SB 910 in a gridded beauty dish overhead at a 45 degree angle. Clients standing at the edge of a swimming pool. Great shot! 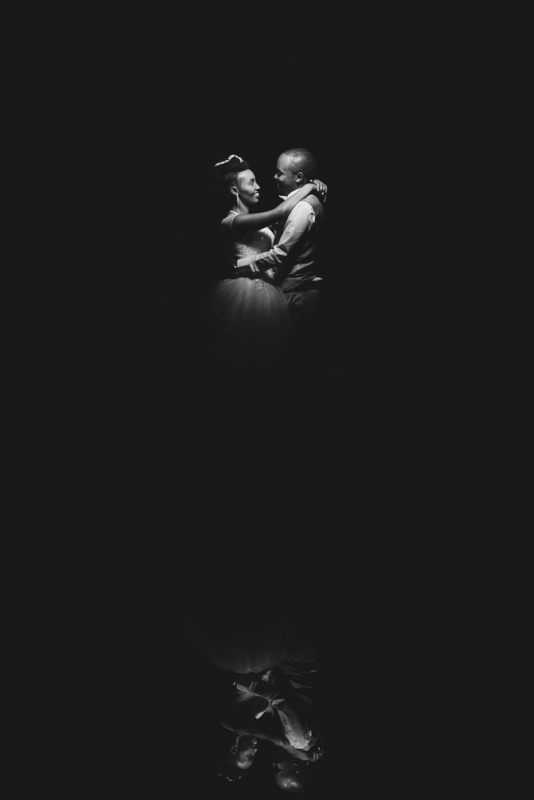 I know this may not have been possible due to the location but there is just a lot of negative space between the couple and their reflection. My eyes are immediatly drawn to the couple but it took me some time to notice the reflection. That is my only feedback. I really like how it turned out and I'm sure your clients absolutely love it!